What’s the car2go Home Area? Think of it as our operating area, where our cars float freely around Austin. 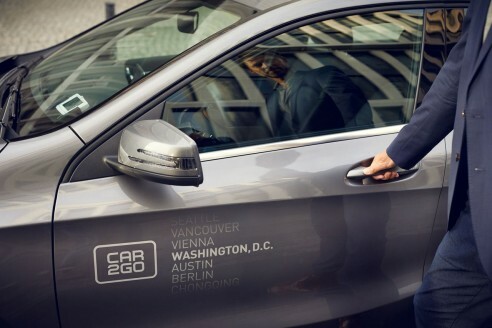 Here you can grab any available car2go and leave it in any public, non-metered street parking space or dedicated car2go-only spots when you're done. The best part is? Parking costs you nothing. See the full car2go Home Area in Austin here. Skip the dreaded parking search - you have car2go. Whether you’re running errands, or grabbing dinner with friends, getting to the Domain Northside has never been so convenient. Red Garage: 2 dedicated spaces on entry (first) floor. Spots located on North side of garage. Blue Garage: 2 dedicated spaces on entry (first) floor. Spots located in North West corner of garage. car2go offers you ultimate parking freedom. 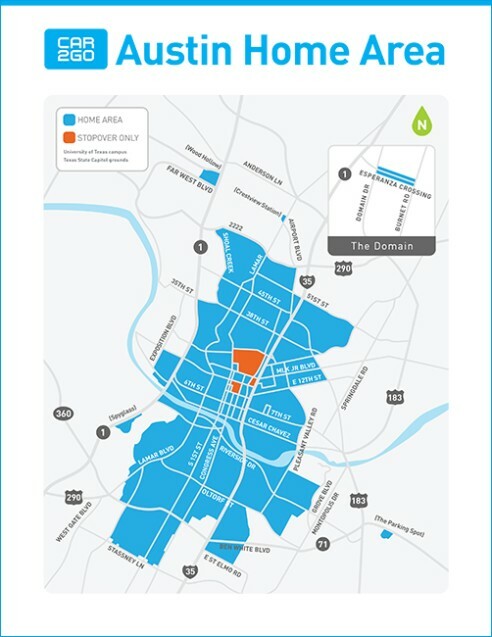 To end your rental simply park your car2go on public, on-street parking within the Austin Home Area. The best part? It costs you nothing. Parking rules: It's pretty simple: as long as you end your trip in any approved public, on-street parking space, you're good to leave the car and go. Just be sure to check our parking rules below. 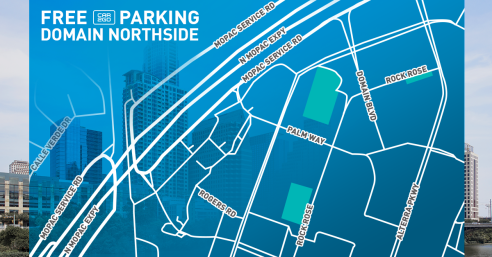 VIP parking: certain parking spots in Austin are reserved just for car2go members. Look for blue Ps on the app- the number indicates available cars (lighter blue Ps means there are no available cars there). Tap the P to view the number of available parking spots. Tip: We cover the cost of meters, but if during a stopover you park somewhere that requires payment, the cost is on you.